Two weeks from today the Yankees will open the 2018 regular season at Rogers Centre against the Blue Jays. Spring Training has gone well so far. The injuries have been kept to a minimum, and the Yankees addressed their two biggest roster questions (second and third bases) with a trade (Brandon Drury) and a free agent signing (Neil Walker). Knock on wood, it has been a good camp so far. C Romine ??? 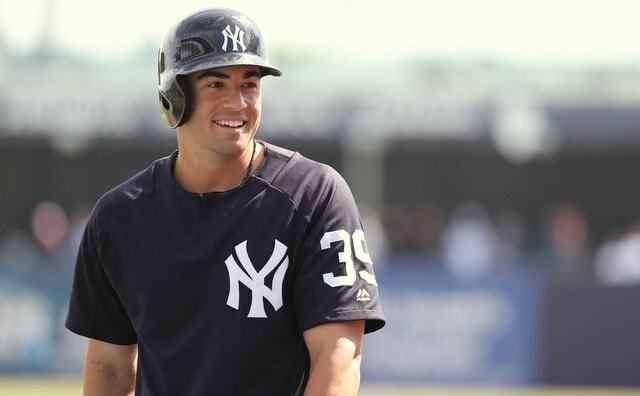 Ellsbury ??? Ellsbury has started some light baseball activities, though time is running out and he’s probably not going to be ready for Opening Day. “We’re probably getting into that range where we’re butting up against it,” said Aaron Boone to Bryan Hoch earlier this week. As for Frazier, he’s still experiencing symptoms and things are moving slow. He’s not going to be ready for Opening Day. No way, no how. So, with Ellsbury and Frazier sidelined, the Yankees have three open Opening Day roster spots. One reliever and two bench players seems likely, though two relievers and one bench player is possible as well. Eight-man bullpens are increasingly becoming a the norm these days. Let’s talk about those last few unoccupied Opening Day roster spots. 1. Shreve is likely making the bullpen. Yeah, one bullpen spot is open, but it’s really not. 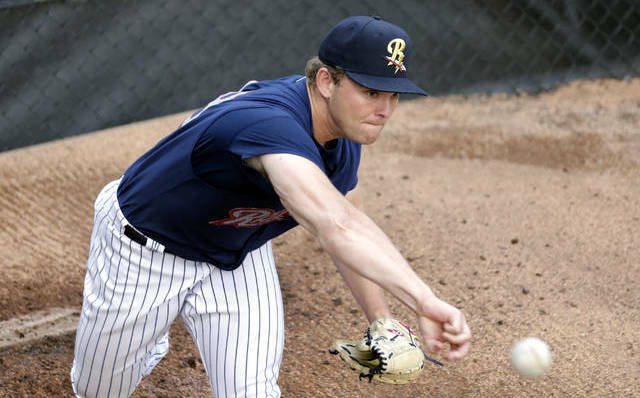 Chasen Shreve has been on the veteran reliever “brought along slowly” plan this spring, not the roster hopeful “you’re going to pitch a lot and you need to impress to make the team” plan. Shreve is out of minor league options and there’s almost no chance he slips through waivers unclaimed. As the seventh guy in the bullpen, Shreve is fine. He misses bats, he doesn’t have a platoon split, and he can go two innings at a time if necessary. Shreve’s going to be on the roster. Get ready for it. Florial isn’t making the Opening Day roster. He’s going back to the minors, probably High-A but maybe Double-A. Austin is an emergency outfielder more than someone you want to play in the outfield intentionally. He’s a pretty bad defender in the corners. I’d rule him out as a backup outfielder option. Austin could still make the Opening Day roster! But not as the reserve outfielder. That leaves McKinney, Peterson, Robinson, and Wade. Both McKinney and Wade have impressed this spring. Peterson and Robinson not so much. McKinney is a natural corner outfielder who can fill in at first base, though his experience is limited at the position. Wade is a natural infielder who the Yankees started to expose to the outfield two years ago. He started a handful of games in left and right fields during his big league cameo last year. I see two reasons to believe McKinney will be the bench outfielder on Opening Day. One, he is on the 40-man roster. That is not insignificant. Peterson and Robinson are not on the 40-man roster and adding them means cutting someone, likely a young player given the state of the 40-man. I don’t think the Yankees want to do that. I suppose Frazier could be a 60-day DL candidate, so maybe the Yankees can open a 40-man spot that way, though it’s too early to say. And two, Wade hasn’t played the outfield at all this spring! That’s kind of a big deal. Wade is on the 40-man, so he has that going for him, but he has limited outfield experience as it is and the Yankees haven’t played him out there at all during Grapefruit League play. I suppose they could put him through an outfield crash course before Opening Day, but that seems un-Yankee-like. 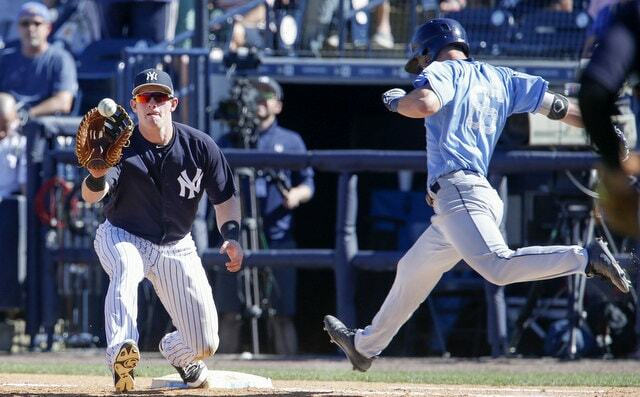 All that points to McKinney and his Yankee Stadium friendly left-handed bat making the Opening Day roster. Fun! 3. So what happens with the final open roster spot? Reliever or bench player, bench player or reliever. You can make a case for both. You really can. The April schedule is not as pitching staff friendly as it has been in previous years. The Yankees can’t skip their fifth starter at all in April. Not once, unless they get rained out or something. Because of that, carrying an eighth reliever as the pitchers ease into things might not be a bad idea. Can’t see Hale, Lail, or LeBlanc making it. They’re Triple-A depth arms and it is too early in the year to dip that far down the depth chart. None of them are on the 40-man roster and I don’t think the Yankees want to cut someone to carry an eighth reliever this early in the season. Not when Cessa, Gallegos, German, Heller, and Holder are all on the 40-man and likely to outpitch Hale, Lail, and LeBlanc anyway. We ruled out Florial, Peterson, and Robinson earlier. There’s no need for a third catcher either, so sorry Higgy. The Yankees wouldn’t use Andujar as a bench player. He’ll go to Triple-A Scranton and play everyday. Realistically, the final bench spot comes down to Austin and Wade now that Adam Lind has been released. Wade has had the better spring and he’s more versatile, plus he’s fast. Austin would be a right-handed power bench bat and a natural platoon partner for Greg Bird. The Walker signing means the Yankees don’t absolutely need a backup first baseman on the bench. Walker can back up Bird and hey, so can McKinney. Wade is the more functional piece. He can play the infield, play the outfield, and run like hell. Dingers are cool, but the Yankees have enough right-handed hitters who hit dingers. Aside from back up first base, Austin doesn’t do much. Wade can do more things. Plus the Yankees seem to love him. That can’t hurt. I think Wade makes the bench over Austin. If Ellsbury does indeed begin the season on the disabled list, Gardner and Walker would be the only position players on the Opening Day roster over 30. (Austin Romine would be the only other position player over 28.) If Ellsbury manages to get healthy, I think McKinney would go back to Triple-A, not Wade. No need for two lefty hitting outfielders on the bench. Maybe in the NL, but not the AL. Even after the Drury and Walker pick-ups, it really seems like the Yankees want Wade on the roster. And hey, why wouldn’t they? He’s pretty rad. There are still two weeks to go before Opening Day and that is an eternity in baseball. Lots can change between now and then. For the most part though, the Yankees’ Opening Day roster seems set aside from the final three spots. Shreve is a pretty safe bet to get that final bullpen spot. 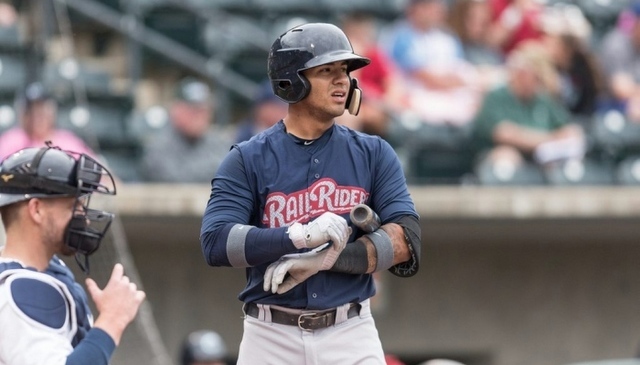 The Yankees have been talking up Wade all spring, and his versatility and speed could make him quite valuable, so I think he’s making it too. McKinney feels like a classic “sneak onto the Opening Day roster thanks to an injury” player. Hopefully everyone stays healthy these next two weeks, because that projected Opening Day roster is awfully exciting. According to Jerry Crasnick, the Yankees have signed veteran left-hander Wade LeBlanc to a minor league contract with an invitation to Spring Training. The deal will pay him $1M at the big league level. LeBlanc can also opt-out of the deal at the end of camp if he doesn’t make the MLB roster. The 33-year-old LeBlanc was very briefly a Yankee back in 2014, allowing two runs in one inning in his only appearance with the team. 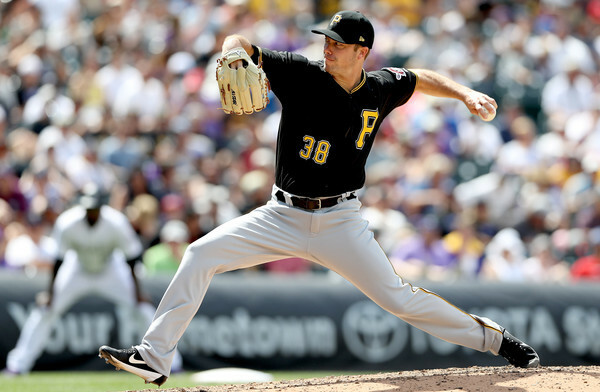 He spent last season with the Pirates, throwing 68 relief innings with a 4.50 ERA (4.28 FIP) and okay-ish strikeout (19.1%) and walk (6.0%) rates. Lefties hit .216/.270/.389 (.279 wOBA) against him. The Yankees have six relievers (Aroldis Chapman, David Robertson, Chad Green, Dellin Betances, Tommy Kahnle, Adam Warren) for seven bullpen spots right now, so LeBlanc will compete against Chasen Shreve and a bunch of youngsters (Ben Heller, Jonathan Holder, Domingo German, etc.) for that final reliever roster spot. So far the Yankees have signed LeBlanc and utility man Jace Peterson to minor league contracts. More are on the way, no doubt. The Yankees could use a Triple-A first baseman — free agent target Ji-Man Choi signed with the Brewers over the weekend — plus another infielder or two.